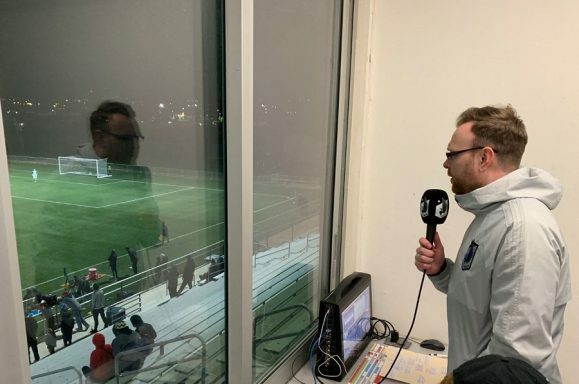 Minnesota United wrapped up their preseason slate in the desert on Wednesday, running out almost the entire roster in 120 minutes against the Houston Dynamo. Despite the additional time and the match-up of two teams not known for defense, the evening passed without a single goal scored for either side. In essence, it was a classic Minnesota vs Houston match, just with the added bonus of being extra long and even sloppier. That should concern the Houston Dynamo, who actually start playing matches that matter in the CONCACAF Champions League in a week and a half. For the Loons, the lack of verve is more acceptable at a time when fitness is the main objective. Fans looking for reasons to #PANIC, however, certainly have some choice cuts. While the team did not concede against either the Dynamo or last weekend’s opponents Phoenix Rising, they certainly had breakdowns, and were let off the hook on more than one occasion by poor finishing. In the attack, the team had several opportunities to score on Wednesday evening, but they were all on shots taken from range. That’s something new and hopeful in the club’s arsenal—not since Simone Bracalello has the team boasted someone willing and able to hit balls from outside the box, and who more importantly will earn respect from defenses for that ability. But the team has barely created a high quality chance through deft passing or a good run. The movement, the creativity, and the understanding are not there at the moment. Still, fans shouldn’t mash the button too hard. There are over three weeks remaining in preseason, with three more games against MLS opponents, on an MLS field. As fitness improves, players will be able to do more, and as the focus hopefully shifts to tactics, we can expect to see more in the way of interesting attacking play. 5. Adrian Heath has picked his opening day starters again, hasn’t he? Once again, the Loons’ starting XI was virtually unchanged from the previous two games. The exact same front six have started all three, and the only changes have been to add camp newcomers (first Ike Opara, now Francisco Calvo) into the line-up. When Romain Métanire joins the team, expect him to immediately displace Carter Manley, and when Vito Mannone is signed, he’ll replace Bobby Shuttleworth. Every coach preaches the value of competition for spots. But while many coaches put that principle into practice, there’s been no evidence that Heath does. After scoring just twice against Tucson and not at all against Phoenix, why was the same attacking foursome of Ángelo Rodríguez, Darwin Quintero, Miguel Ibarra, and Rasmus Schüller played for a third consecutive game? Perhaps that is the best line-up the Loons can muster in the attack. But perhaps it’s not! How is the coaching staff expecting to find out the answer if not by playing different combinations of players in preseason scrimmages? Either they don’t care to find out, or they are once again planning on patching the starting line-up on the fly throughout the season. Just as with refusing to play young players in the garbage games at the end of last season, it’s really mystifying to me why the coaching staff insists on this rigid and unambitious approach. I put myself in the position of a player and wonder, why should I put in the effort if nothing I do will change the coach’s opinion about who gets the benefit of the doubt, who gets the minutes against other first teams, who gets the edge on the line-up card? The Loons have played their three most carefree preseason matches, and are none the wiser about… (1) other options at forward beyond Rodríguez, (2) whether Mason Toye can be deputized on the wing, (3) whether Schüller can break into the midfield pair, and probably a number of other possible questions. Should the team play with two forwards? With true wingers? With three at the back? We don’t know! 4. The Loons have skilled individual defenders, but are so far missing a good defensive shape. In a variety of action on Wednesday, starters Ike Opara, Brent Kallman, and Ozzie Alonso really stood out for their defensive work. In the second group, Wyatt Omsberg and Chase Gasper also impressed. Their individual work stymied some extremely skilled attackers, like Alberth Elis. But as managers like Tony Pulis repeatedly demonstrate, talented defenders are fine, but organization matters even more. Minnesota have lacked this defensive organization since joining MLS, and they’re still lacking it. The team has no strategy to press, every attacking player seemed to have their own line of confrontation and the result was that Houston had no trouble bypassing this first line and attacking the midfield and fullbacks. Meanwhile, the Loons would recover the ball deep in their own territory, and often be immediately pressured by the Dynamo, who pressed far more cohesively and aggressively, winning the ball higher up the field and earning far more opportunities on the break. It’s fine not to be a pressing team, but you still have to be on the same page, and Minnesota clearly haven’t gotten to that stage yet in their tactical preparation in preseason. But what worries me is that they’ve never really gotten to a good defensive set-up over the course of the last two seasons, so it’s a point of serious concern. 3. Some new players impressed, and some previously impressive players were flat. Yep, Ike Opara and Ján Greguš were good again. But Romario Ibarra and Mason Toye were ineffective against Houston’s reserves. Carter Manley was beaten badly on a couple of key defensive challenges. Dayne St. Clair was over-adventurous in goal, and inaccurate in passing. Trialist Tah Brian Anunga had a lot of difficulties keeping the ball against a higher level of opponent. I forgot Jiro Barriaga was on the field, and Mitchell Osmond didn’t play. Not everyone is going to be the hero every night. But for the players hoping to lock down a starting spot or work their way into a contract, it wasn’t a good night. I think ex-Chicago Fire midfielder Drew Conner has shown enough to be signed. I think draftee Hasani Dotson will be signed and added to the team’s stable of younger fullbacks. I think Anunga’s age and Best XI/Team MVP accolades in USL merit further attention, but he needs to show more. I hope he’ll get that chance, much as I hope we’ll see at least one game with Toye and Romario each among the starters. But it wasn’t a great night for some players who needed to catch the eye. 2. Michael Boxall returned from injury and Francisco Calvo returned (briefly) from international duty, but the Loons are still undermanned. Ethan Finlay is yet to get game minutes, Kevin Molino is apparently even further behind him. Meanwhile Abu Danladi, who apparently was sent to consult a specialist in Barcelona in the offseason, still seems to be permanently injured. Métanire will arrive this weekend and Mannone will sign in the coming days. When will we see these guys? Your guess is as good as mine, but even though there’s still plenty of preseason left, time is running out to get them up to speed in terms of fitness and tactics. It seems likely that the three players who remain injured will probably not come fully into the picture until a couple weeks into the season at least. 1. Miscellaneous Notes. Minnesota will soon return home for the weekend. There, they’ll shoot team photos, make the GIFs you’ll see on the team’s Twitter all year, and show off the new kit at the Mall of America (an hour after another conspicuous announcement at Boom Island in Minneapolis). Then it’s off to Orlando… …I can’t believe Francisco Calvo got a red card after thirty nine minutes of preseason. I still can’t wrap my head around that. What the hell?… …the Loons look to sign Vito Mannone on loan to serve as the club’s #1 this year. This is their third attempt to knock Bobby Shuttleworth off that perch, but this time it’s probably more likely to be successful, Mannone is experienced, tested, and also somehow only 30. I’m more concerned about what the team’s plans are for Dayne St. Clair. Training with a player like Mannone could aid his development, but he also needs game time. Will he get it with Madison? If not, where?… …A tip of the cap to Cal Williams for commenting 120 minutes of sloppy, scoreless soccer, with each team playing over twenty two players. That’s impressive.